Silence isn't always golden. 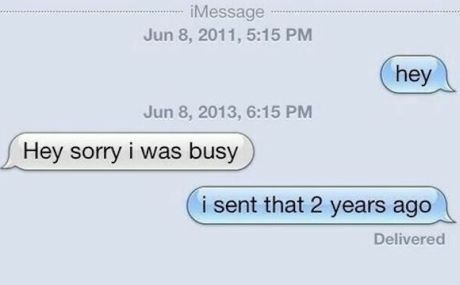 We all have that friend who replies to your texts rather late, if at all. But a friend forgetting to reply with 'yes, let's get a takeaway' is more forgivable than a recruiter not replying to your job application. So, in an age where communication is a cinch, why are candidates pumping hours into perfecting an application form and CV, only to receive nothing but silence? No feedback. No email. No phone call. In an article from 2012, The Wall Street Journal revealed that, for the 65,000 retail and corporate job openings which Starbucks had advertised over a 12 month period, they received 7.6 million applications. Seven point six million. That's 115 times more than was actually required. Needless to say there must have been a lot of disappointed people out there. It does beg the question though, how many of those unsuccessful applicants received any feedback or notification on progress (or lack of)? Sending literally millions of rejection letters out, with tailored feedback to every individual, is simply an unmanageable task. So there becomes this infamous 'black hole' scenario a lot of jobseekers will be familiar with. Your precious CV with a life's worth of achievements on it, is just left to float around in a corporate abyss. Rather than the approval of a human, the algorithm of a machine can say whether you are a match for the position applied for - like a cyberspace Julius Caesar judging your worthiness as a jobseeking gladiator. Scary thought right? It's not all bad news though. Recently the government reported that unemployment in the UK has dropped below 6% - the lowest it's been in over 6 years. With 418,000 fewer unemployed people than there was a year ago, it seems there is light at the end of the tunnel. 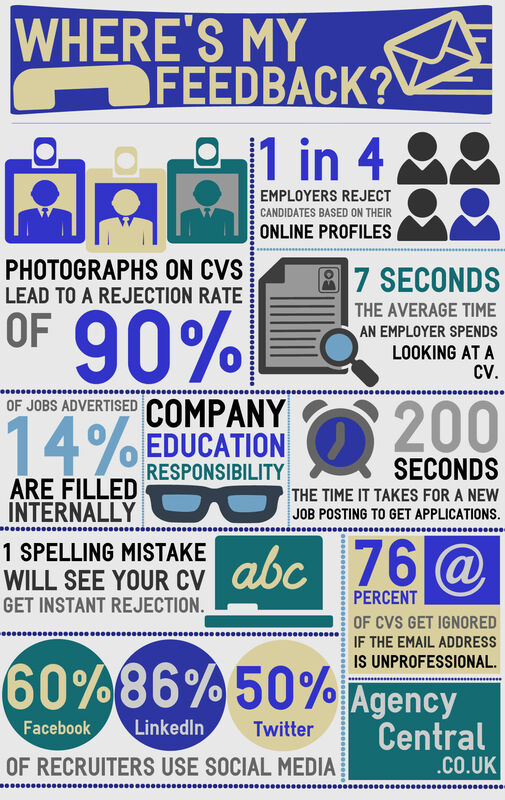 These reassuring facts still don't answer the question though - what happens to our CV once we send it off to a recruiter and why don't we always hear back? It's now 2015 and pretty much everything we do is controlled by robots. From those terribly frustrating self-serve checkouts to self-driving cars, it's no secret that robots are becoming more competent at (what was once thought of as) human tasks. So imagine if your career's fate was surrendered to the hands of a robot? Rather than the approval of a human, the algorithm of a machine can say whether you are a match for the position applied for - like a cyberspace Julius Caesar judging your worthiness as a jobseeking gladiator. Scary thought right? Well it's already happening. Commonly known as Applicant Tracking Systems, in order to deal with the overwhelming number of applications a job post receives, recruiters now utilise these 'automated sifting solutions' in order to wean out the good from the bad. It basically scans CVs for keywords that relate to the job role applied for, then determines their relevance before either passing them through or casting them to a reject pile. An efficient and ingenious sorting device at first glance, Applicant Tracking Systems (ATS) have become commonplace in the recruitment process now. In 2012, A BBC survey of 20 of the world's biggest organisations, which between them employ almost four million people, found 'no fewer than 18 used some form of electronic selection'. However, it is also well known that a lot of systems out there are seriously flawed. Commonly known as Applicant Tracking Systems, in order to deal with the overwhelming number of applications a job post receives, recruiters now utilise these 'automated sifting solutions' in order to wean out the good from the bad. Things as simple as formatting and keywords (or lack of) will see the ATS deem your CV a poor match for the job role, despite your qualifications and experience. In fact as many as 75% of candidate's chances of interview are instantly killed by an ATS. If jobseekers were able to see some of the reasons their CVs get automatically rejected, frustration would surely reach fever pitch. So is there a way to effectively bypass these robots and regain control of your application's fate? Fortunately there are some helpful tips that will give your CV the human touch it deserves. Applicant Tracking Systems lack an ability to structure a PDF document properly, meaning it can be easily mis-read or, worst still, not read at all. Anyone with experience in SEO and writing for Google will understand this better than most. People like to stand out from the crowd by using alternative words for 'Work Experience'. 'Career Timeline', 'Work Achievements' or 'Professional History' are just a few phrases that are used instead. However, ATS software can bypass this whole section because the words 'Work Experience' don't appear anywhere. Play it safe and use the standard term. Believe it or not, when listing your work experience, the order you put the company names and dates in matter to the machines. The ATS will scan your CV for company names first, then your job title and then the dates. Always put the dates last. For their apparent 'artificial intelligence', robots do lack common sense sometimes. This revelation hurt me a bit. I love using tables/graphics to display qualifications or portfolios - after all it's the easiest and most simple way of displaying a lot of data/results all at once. Not for tracking systems though. While graphics will get completely ignored, your precious table will be read 'up and down' as opposed to the human convention of 'side to side'. While you don't want to ramble too much on your CV, making it a little longer isn't always a bad thing. It allows you to pack more relevant experience in there - meaning more keywords and phrases will be picked up by the ATS software. If it means expanding your two or three-page CV to three or four then that's fine, but keep it relatively succinct. 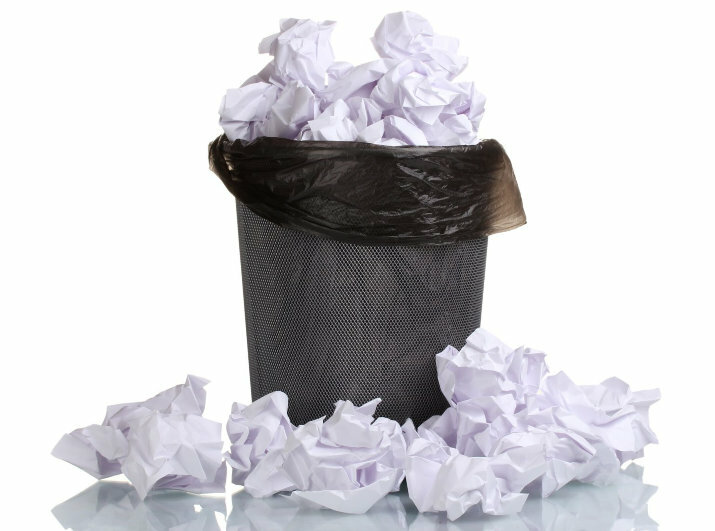 If, like me, you feel like you've had all of your creative ways of submitting a CV ripped away from you, don't worry. Your boring, table-less CV has completed its first mission - bypassing the bots. Once the recruiter sees how good a match you are to the role, there is plenty of time to express your creative side come interview. So you've defeated the machines (resist urge to use Terminator related pun), your CV has landed safely on the recruiter's desk and waits in anticipation to be read. You're finally invited for an interview and feel certain you nailed it. But three weeks have passed and you still haven't heard a word. That missed call you had was somebody trying to sell you windows and the email you received was an out-of-office reply (also automated - damn, I thought we'd finished with the robots!?). What is happening now? During this time of limbo, your uncertainty and self-doubt can creep in - questioning whether you were worthy of the position in the first place. But something all recruiters will tell you is: it's not personal. Even recruiters have holidays to take, meetings to attend and general tasks that can delay the process. Sometimes sign off for a position (particularly a senior role) can take longer than usual for this reason. So while it might seem unfair that your fate hangs in the balance of someone sunning themselves in the Seychelles, being patient will pay off. More common than you might think, companies sometimes purposely drag out the entire process in order to see who is exceptionally keen for the role. It also exposes how you might deal with ambiguity, which is a personality test that could show they are looking for a long term fit for the company. Although a risky approach by companies, they risk efficiency and professionalism a little in order to find the perfect match. Unless you're applying to a company so cash rich they don't need to check their salary budget (no good company like this exists by the way), it's very possible that there has been a sudden budget issue. Maybe some employees have just handed their notice in - meaning the recruitment team have to totally rethink priorities. Again, this is nothing personal, it's just the unfortunate limitations of business sometimes. Think of it as a corporate natural disaster. Being pipped to a job by someone who might have that extra few years of experience, or knowledge of a specific software, can be a frustrating feeling for anyone. But sometimes you've just got to tip your hat to them and move on. As Greg Bennett, Executive Recruiter for The Mergis Group, says, "The job of a recruiter is not to find jobs for people but to find people for jobs." If you keep this in mind, then accepting that there was somebody out there who simply ticked more boxes than you on this occasion can be an easier pill to swallow. It's human nature to hate being the bearer of bad news. If a recruiter knows how much a position meant to you, but they found someone more suitable, letting you down gently can seem a daunting task. So much so, a lot of recruiters postpone this call and almost repress the whole situation. Emails always provide an easier 'get out' than a phone call, although I'd honestly prefer no email to one of those pre-scripted, generic rejections. What's more, they have to deliver this bad news to hundreds of people (which also takes time). While this might seem frustrating to comprehend, put yourselves in their shoes. Luke Todd is Recruitment Director at LTR Executives. He has kindly offered to conduct a small interview with us, in order to give his experienced insight into the world of a recruiter. His answers below are helpful to candidates looking to understand the post-interview process, and why there might be delays involved. 1. Typically, when a position is advertised and a candidate has been interviewed, what is the longest step in the process from interview to notifying the candidate of their success/failure? The answer to this could be how long is a piece of string but that would be facetious! In my humble opinion, on average it usually takes my clients to get back to me within a few days from interview, stating their interest in offering my candidate the position. There are a number of occasions that it takes a week or two, but after this you can bet your house that you're unsuccessful or there has been an internal change. Either way, the candidate at this point will have turned their green signals to red and be pretty hacked off! 2. Do you use ATS software to perform an automated 'sift' of all CVs received and, if you do, do you feel it is an accurate and fair way to filter applications? I'm not aware of an ATS system, it's obviously some forward thinking robotic system taking the human feel out of recruitment, I could be wrong? I manually read and view all the CVs I receive and act accordingly. 3. If, for whatever reason, you haven't contacted a candidate for a while with feedback, is there an acceptable amount of times/days pass that they (the candidate) should contact you? Again this is a very subjective question. One candidate might ring a recruiter straight after the interview demanding an answer and another candidate may be easy going and await your call. In the real world of recruitment I tend to get feedback from my clients within a few days - no more than a week or two. If you don't have feedback after a week you can pretty much guarantee you've not been successful. I've been having many of these conversations with my clients recently about candidate feedback. I advised if you give candidates prompt feedback even when they're not successful they will still potentially recommend your business to someone else as their experience was professional and timely (sadly unique). 4. Recruiters often get a bad rap for neglecting candidates and leaving them hanging. What's best practice to avoid falling into this potentially damaging stereotype? We've all done this (even me would you believe). My advice would be to call the candidate saying you have left a message and sent an email to your client requesting feedback. As well as this, go through the interview feedback with the candidate. I would then state that you'll get back to them as soon as you hear anything. If I've still not received any feedback and a week has passed, I will call the candidate to say I still haven't had any feedback (which is poor) but most candidates will 100% appreciate you keeping the lines of communication open. Remember, it's the recruiter who will look bad if they don't bother to call the candidate back! I think a lot of recruiters automatically think that, after a week or two without contact, the candidate will assume they haven't been successful. So no need to call them, right? WRONG! Candidates do get treated badly so it's down to us recruiters to make them feel appreciated, after all it's the candidates who make us our money. We all know that any candidate we work with could be the next hiring manager (with our clients) even if they accept a role through a competitor. If you're professional and act with respect and integrity, even if you don't place that particular person, they will remember you. 5. Finally, how would you say the impact of social media has affected methods of recruiting? And what is your personal view of the future of the industry? Simple answer is that it's been positive and negative and I am sitting on the fence here. I feel that some recruitment companies have invested so much time and money into social media that they forget the most important tool in recruitment is the phone! Be it broken or fixed, never approach something the same way as you did before. Yes recruitment has changed a fair bit in terms of the current recruiter needs (to be a bit of a marketer and brand promoter) but don't we all anyway? Yes social media has opened up different ways to communicate or different ways to be found but, ultimately, it has made many recruiters lazy. I think the future is bright for the hunter gatherer researcher recruiter who wants to seduce and change as we go along the social media channels. In summary, I would say social media has been more positive for the recruitment industry, but we must not sit back with our feet in the air smoking a cigar thinking we will have easy placements, as the race for hard-to-find-talent is soaring! "I use software, but this is only a portion of what I believe you should do. There are many additional tools and a lot of round pegs in square holes. Also the software doesn't pick up certain, useful traits of some candidates - so you really need to know your stuff." "it is once again a tool, a way of branding, and that is important. You need to use it effectively and well. It does open up other areas for recruitment and gives you a lot more insight into the client and market.Regardless, good recruiters will always be in contact with the candidate and build their database that way. Rest assured that there are good recruiters out there." Hopefully some of your vexation towards recruiters and the time it takes to hear back from them has been eased a little. It's easy to forget that they do have a very demanding job that involves juggling multiple things at once. This is still no excuse for breaking a brief line of contact to deliver feedback, but it's worth considering next time you feel neglected. As mentioned earlier in the article, don't be afraid to follow up if it's been a little while, with a polite 'nudge' email or call. Remember, if you find a good recruiter, none of these issues should be well issues. Their time management and customer service skills should tell them that staying in contact with their clients AND candidates is always best practice when building their reputations. It would be useful to save or bookmark our infographic above, as a reference point for brushing up your CV. By knowing exactly what they are looking for, how ruthless the shortlisting process can be and how tricky those ATS systems are to get past, your revamped CV should hopefully stand up to the test. This should at least put some haste into the recruiter to get back to you, as you will stand out from the rest.